What a great article. I would like to include a small copy of your picture with a link to this article in my next newsletter to my readers of FloridaGoFishing.com. Is this OK? I have lots of divers who love this type of article and I am sure they will visit other pages on this site after they read this article. Thanks! That’ perfectly fine. Thank you for asking. 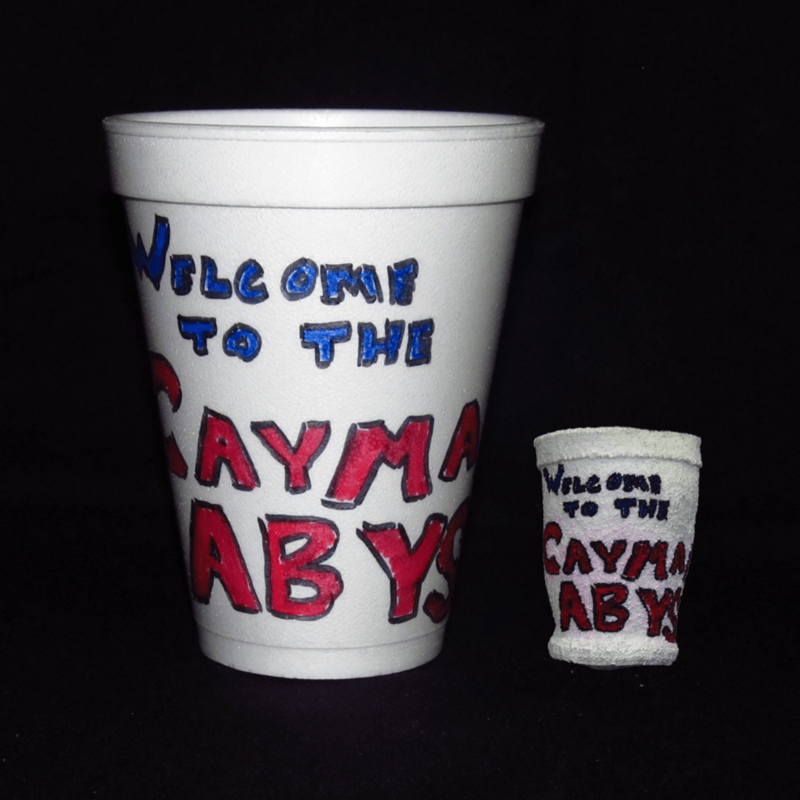 Hmmm, I don’t think I’d have sent down my rings but cups were a fun distraction for each AUV launch in the Bahamas. As a comment on social science, the cup shrinking is appropriate. That’s boat folks being nerds with hi-tech toys. Andrew – your cup doth runneth over! But that ith becoth it ith tiny! Seriously – did all Shakespereans talk like that?